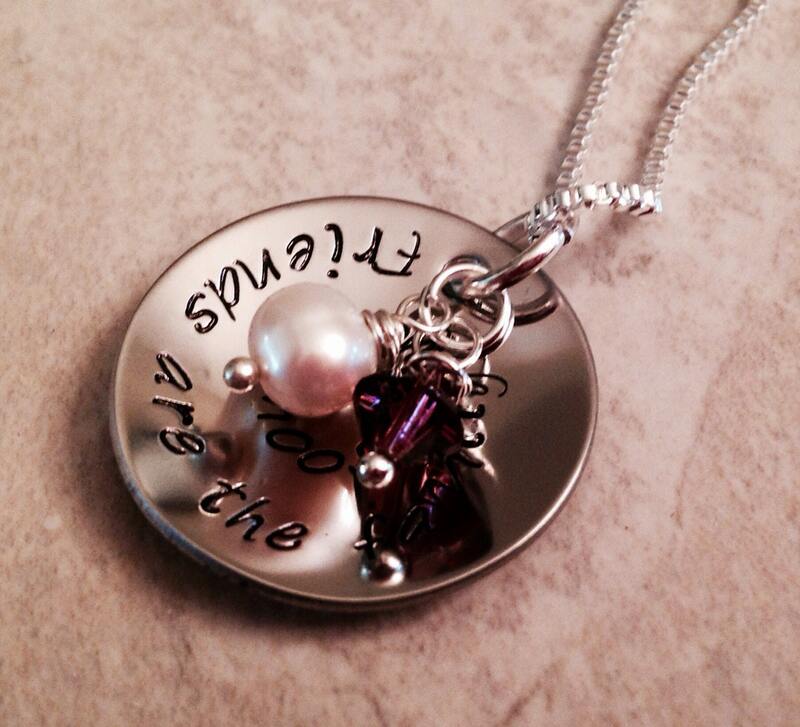 "Friends are the family you choose" necklace. Measures 1", and is cupped. 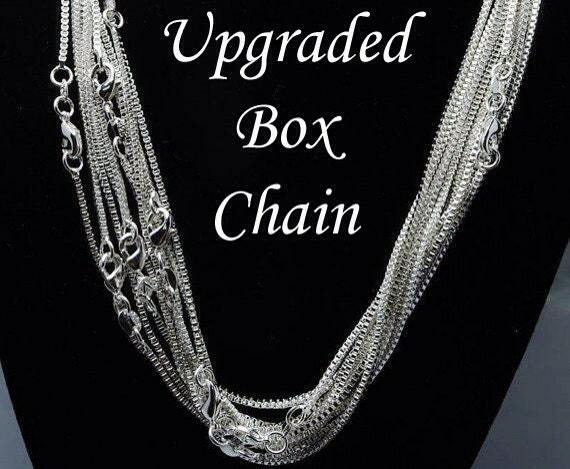 Please select your preferred chain choice (ball chain or box chain) using the drop down menu provided. Incldues 2 crystals (or freshwater Pearl). 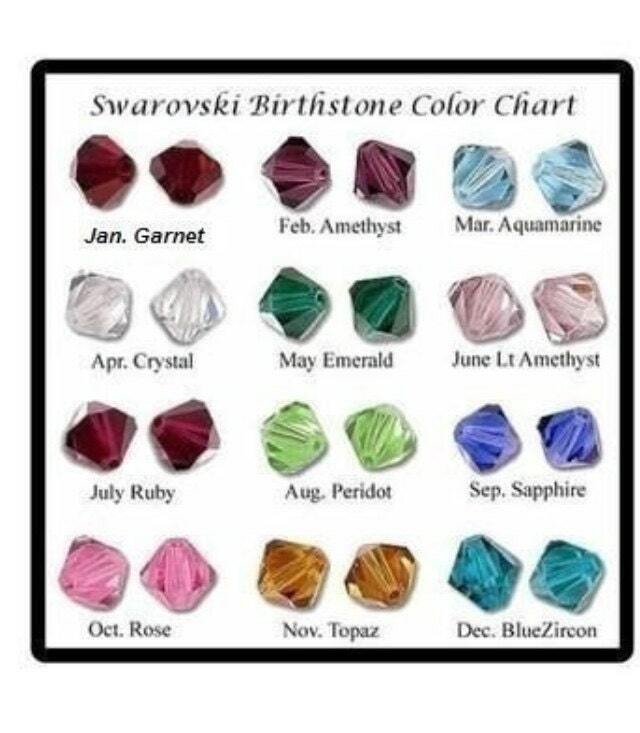 Please leave me a note on the check out page with the two colors you'd like me to include (Freshwater pearl, or all birthstone colors--see photo for details). If you'd like to discuss custom wording, please don't hesitate to send me a message! 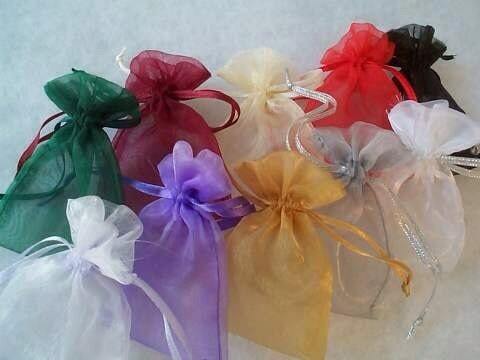 This item can be personalized with a name charm, please see the links below for details!